Win: Spider-Man: Homecoming - Becoming a superhero | SWITCH. A young Peter Parker/Spider-Man (Tom Holland), who made his sensational debut in Captain America: Civil War, begins to navigate his newfound identity as the web-slinging super hero in 'Spider-Man: Homecoming'. Thrilled by his experience with the Avengers, Peter returns home, where he lives with his Aunt May (Marisa Tomei), under the watchful eye of his new mentor Tony Stark (Robert Downey Jr). Peter tries to fall back into his normal daily routine – distracted by thoughts of proving himself to be more than just your friendly neighbourhood Spider-Man – but when the Vulture (Michael Keaton) emerges as a new villain, everything that Peter holds most important will be threatened. The 'Spider-Man: Homecoming' competition has now closed. Winners will be announced shortly. Competition opens at 5pm AEDT on Sunday 15th October 2017 and closes at 11:59pm AEDT on Sunday 22nd October 2017. Five winners will be chosen at random on Monday 23rd October 2017. To successfully win, entrants must fulfil the above entry conditions before the time the competition closes. Current members/followers are eligible to enter the competition. Only one entry per person. Only one winner per household. To be a valid winner, the entrant must not have won a prize from SWITCH within the last 28 days. Each winner will receive one Blu-ray copy of 'Spider-Man: Homecoming'. By entering, you agree to receive occasional emails from SWITCH in the future. If you decide to unsubscribe from these updates, any further entries will not be applicable. Only Australian residents are eligible to enter. 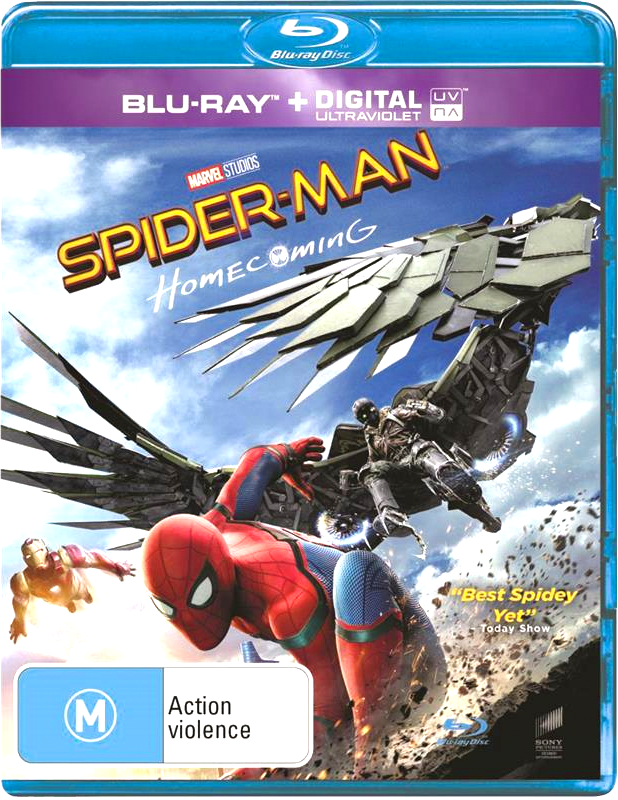 'Spider-Man: Homecoming' is available on 4K Ultra HD, Ultraviolet Blu-ray, Ultraviolet Blu-ray 3D and Ultraviolet DVD on Wednesday the 18th October 2017 from Universal Sony.